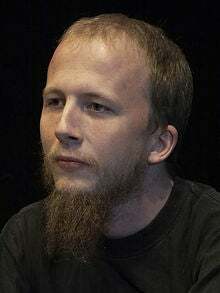 Pirate Bay co-founder Gottfrid Svartholm Warg has been arrested in Cambodia, Sweden's Ministry of Foreign Affairs said on Monday. Sweden wants to extradite Warg from Cambodia because he is avoiding a prison sentence imposed by a Swedish court. The arrest was made at the request of Swedish legal authorities and Warg is now in custody, said Anders Jörle, head of the press service of the ministry of Foreign Affairs. Sweden government officials have seen Warg in Cambodia and Jörle said he is doing O.K. The Swedish legal authorities are looking to extradite Warg because he has committed a crime and was sentenced, said Jörle. But Svartholm Warg never served his sentence, he added. Svartholm Warg was sentenced to one year in prison for his involvement with the Pirate Bay, one of the largest torrent sites used to find torrent tracker files enabling the download of, among other things, movies, software and music. He also has to pay 46 million kronor (US$6.7 million) collectively with his Pirate Bay coaccused Fredrik Neij, Peter Sunde and Carl Lündstrom. Neij, Sunde and Lündstrom were initially also sentenced to one year imprisonment but their sentences were reduced in an appeals case. Svartholm Warg did not show at the appeal, because he said he was ill. The judge initially said she wanted to reschedule Swartholm Warg's appeal, but his one year sentence was later confirmed by a district court. What will happen to Svartholm Warg next is unclear. Ola Salomonsson, the Swedish lawyer who represented Svartholm Warg in the Pirate Bay case, said an international warrant had been issued for the arrest of Svartholm Warg. "I have been contacted and know he has been arrested," he said, adding that the Ministry of Foreign Affairs told him it had supplied Svartholm Warg with all the necessary information to reach his lawyer. "I have not heard from him," said Salomonsson, "and I can't reach him." Sweden and Cambodia have no extradition treaty, but such a treaty might not be necessary to get Warg shipped to Sweden, said Jörle. "There are other possibilities to handle this," he said. The two countries could for example make an agreement to handle this issue separately, he said. In order to extradite a person to Sweden the independent legal authorities have to file a request with the Ministry of Justice who will handle the case, said Per Hedvall director at the Swedish Ministry of Justice, who added that he could not comment on specific cases. But it is possible to communicate about extradition requests on a country level. "We don't have a specific case with regard to an extradition from Cambodia," he said.